Not only does United Brothers Transport have a new-model fleet comprised of refrigerated straight trucks, tandem/tridem reefers, multi-temp trailers, vans and shunt trucks, we have a team of professional drivers on standby. Purchasing assets and recruiting drivers to fill the void in your supply chain can be quite costly and time consuming. UBT takes the stress away and works with you to ensure your fleet size is always optimized to accommodate the peaks and valleys of your business. 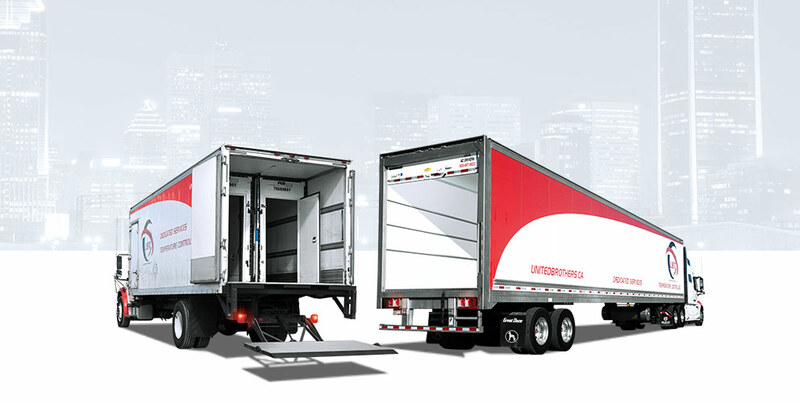 We outsource our fleet to various companies in the food and beverage, healthcare, medical and retail industries. Each one of our customers is unique and requires customized solutions to meet their particular needs. From unassisted, in-store deliveries to providing vehicles at a certain height or with a specific turning radius, no detail is too small. UBT provides you with exactly what you need to get the job done right. Why outsource your fleet requirements to United Brothers Transport?